IF YOU’RE AMONG THE MORE THAN 350,000 people (!!) who read the story about how Lincoln High School in Walla Walla, WA, took a different approach to school discipline, with a resulting 85% drop in suspensions, I thought you might be interested in a note that the school’s police officer sent to the staff today, his last day at the school. Walla Police Department. 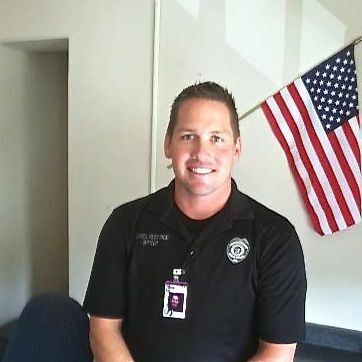 For three years, he was Lincoln’s school resource officer. I asked him if it was okay to post his farewell note here, because he talks about the changes at the school from his perspective of someone who had to break up fights, calm kids down, and, sometimes, arrest them. He also compares how he related with kids during his time as a cop on the beat in the city with his time at the school. It led me to wonder what would happen if police related with regular citizens the way that Braman describes his interactions with the high school kids. Here’s the note, unedited and in full. It has been my pleasure for the last 3 years to serve the School District as the WWPD School Resource Officer. Although I look forward to the next challenge in my career as a Police Sgt., I am going to miss the students and staff tremendously. As a Police Officer in the City for 8 years prior to being submersed in the School full time, I was solving problems and dealing with the worst situations in our society. I seldom had time to sit down with a young person and talk about their problems and why they were experiencing each situation. As an SRO, I was able to connect with many kids and take the time to really make a difference. Not only would this mean enforcing the law, but it also equated to explaining why rules are in place and examining how the situation could be avoided or dealt with differently in the future. I feel that this is the key to changing behavior and look forward to teaching this experience to other new Police Officers as they begin their careers. I have learned to have more compassion for others as I have seen kids that have overcome some huge challenges. It has proven to me that children are resilient and will flourish with the right positive environment around them. I have seen a remarkable difference at Lincoln in the past 3 years. On my first day as SRO at Lincoln in the Fall of 2009, I witnessed and broke up a fight in the lunch room. The year continued as I responded to 48 different Police reportable incidents at Lincoln alone. There was very high gang tension in the building and our staff was overwhelmed trying to avoid the next incident. The following year we began our transformation with the study of Ace’s and Complex Trauma and implementation of a different approach. From the 09-10 School year to the 10-11 school year my reports at Lincoln dropped from 48 to 17! In comparison, the Middle Schools Police reports both showed increases from 33 to 41 and 26 to 36. I have yet to acquire the 11-12 year end statistics, however I am certain that the trend will continue. We still have arrests and Police Reports at Lincoln and the SRO’s role in the process is important for success. I feel that the recidivism rate has dropped tremendously due to our approach and response. The Lincoln Health Center has also been instrumental in this providing both medical and mental health services to the kids. I have been extremely fortunate to have been able to experience the Staff and students at all Schools and look forward to continuing my relationship with everyone. I will be assigned as a Patrol Sgt. and will be out and about in the community on a daily basis. If you see me please say hello or wave. I know, wave at the cops??? And no I won’t bee seen at Starbucks or Popular Doughnuts. At least not every day. We anticipate selecting a new SRO this summer and they will be on board at the start of the 12-13 School year. I want to thank all of you for doing the work you do every day! I’ll really miss the family at Lincoln and will try and stop in from time to time. Kevin is an outstanding SRO and person. No matter what situation we had, Kevin always treated our students with dignity and respect. He demonstrated compassion while holding students accountable for their actions. We are happy about his promotion and he will always be a part of the Lincoln family. Kevin will truly be missed.